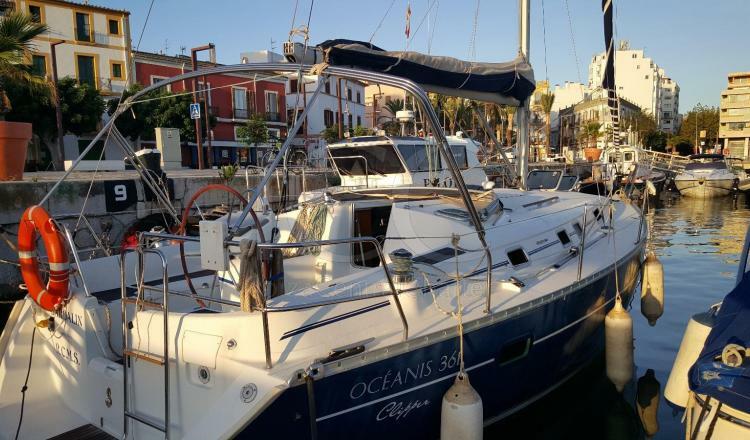 This Oceanis Clipper 361 is really impressive and the ideal choice for all those lovers of the world of sailing. 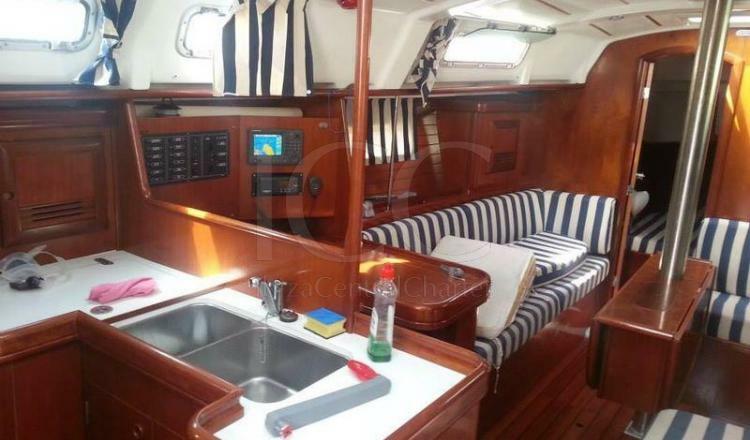 The Oceanis clipper 361 is a sailboat of 11 meters of length and 4 meters of beam. 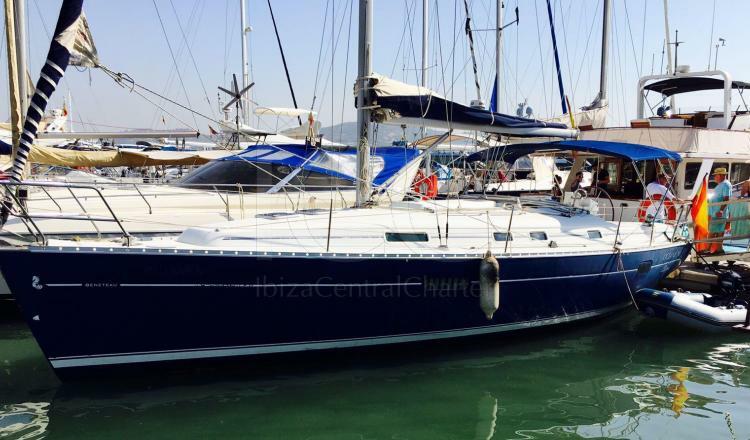 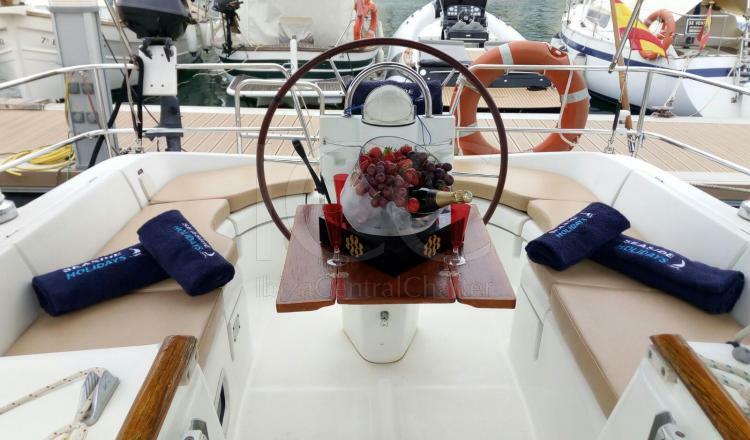 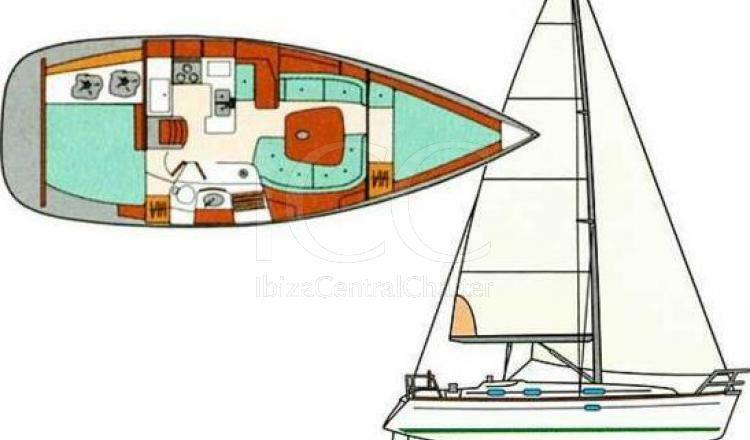 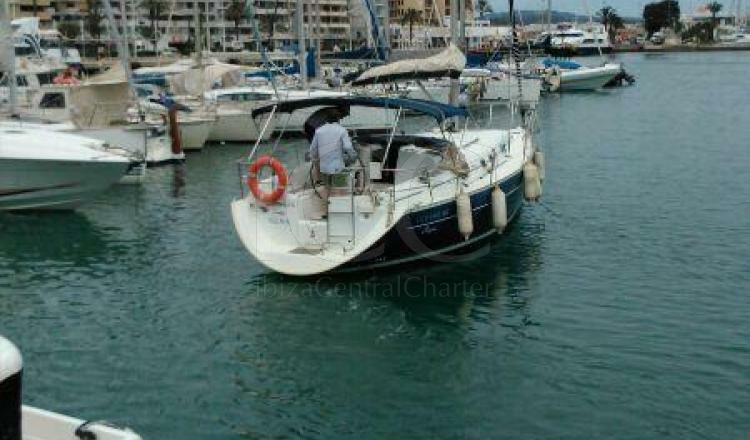 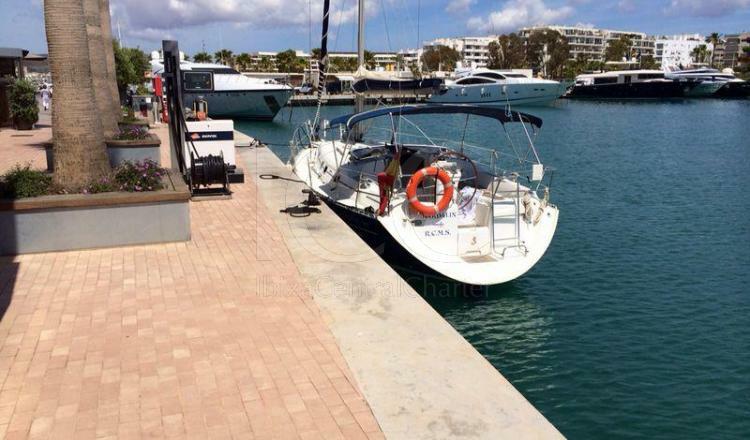 Inside it has all the necessary equipment to navigate between the islands of Ibiza and Formentera. 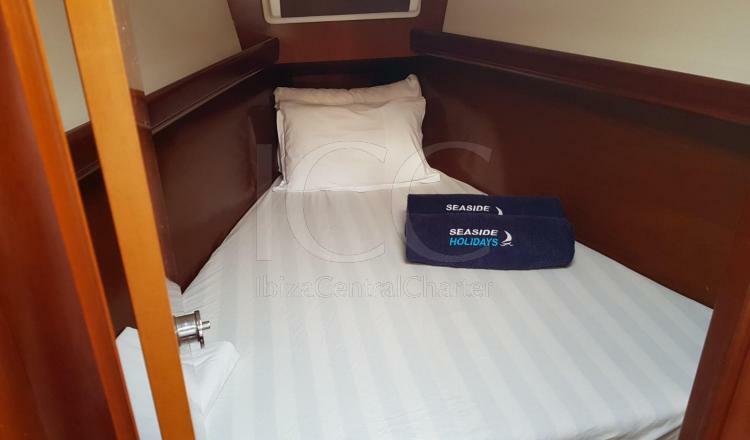 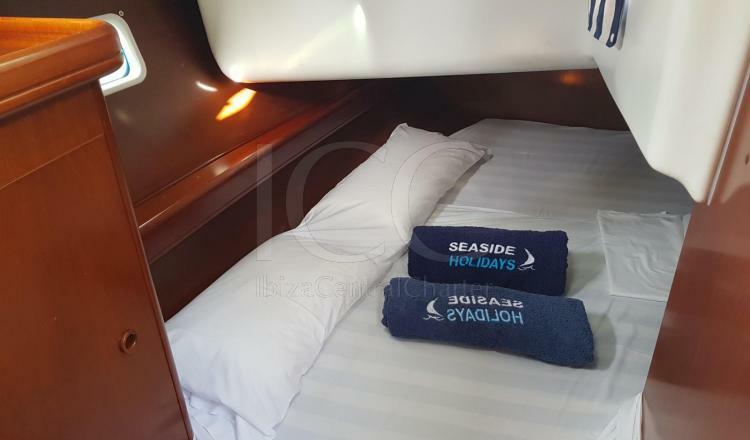 Designed to comfortably accommodate 8 more people the skipper, in its two cabins (one double and one triple) plus a large convertible lounge. 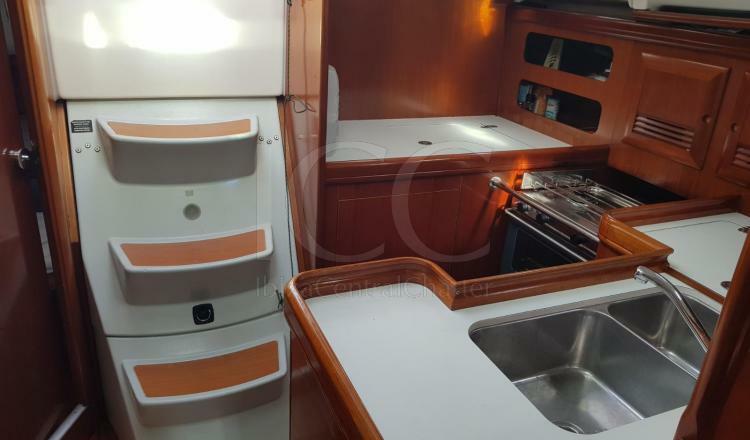 It has a fully equipped kitchen with two fires, two refrigerators, a sink, as well as all the necessary household items for the day to day. 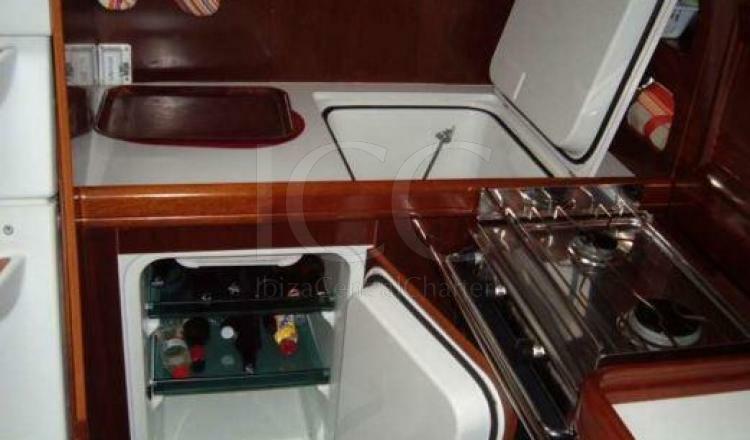 It also has a full bathroom and an additional freshwater shower aft. 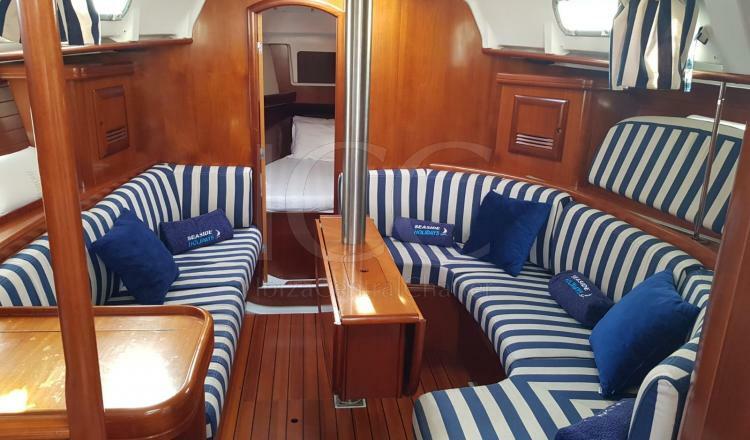 On the outside there are two environments, a sundeck area in the bow to relax while sunbathing and a large armchairs area with a perfect stern table to regain strength in our incredible trip. 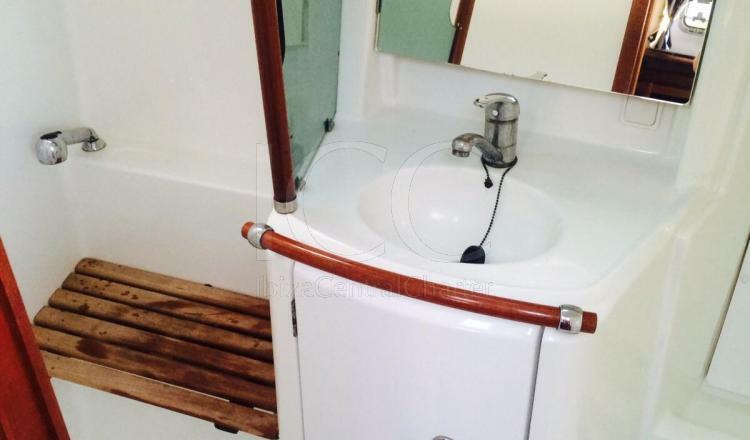 At the time of hitting a dip, we have easier access to water thanks to its swim ladder.